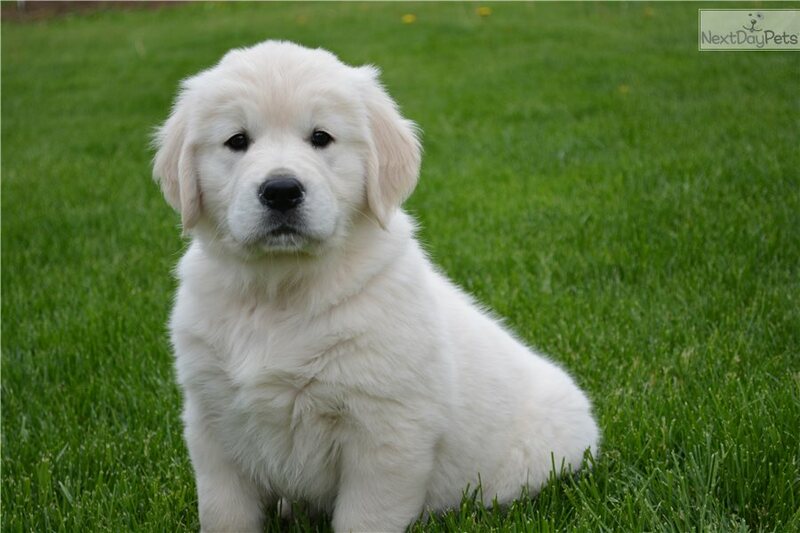 Adorable and attentive Male English Golden Retriever puppy, born 3-21-2018. He has a blocky head, big feet and a thick beautiful coat. He has been handled from birth and raised in our home. Their Sire has a silky white coat and a big blocky head. He is a gentleman with our girls and has a very laid back demeanor. Their Dam is white and has a blocky head, a thick body and a very thick beautiful coat. She is very smart with a very sweet, attentive temperament. They both come from International bloodlines. This puppy will come with AKC limited registration. He will be up to date on vaccinations, 4 doses of deworming, and will have a one year written health guarantee.